When winter settles in like a stubborn, throbbing head cold, Rory Toolan has an antidote. Last season, every time Toolan featured a menu of all warm cocktails at Chicago’s caposhi fern bar the Heavy Feather, it turned out to be the hottest night of the month. That said, for a smoother finish, Toolan prefers a young brandy to the common whiskey. 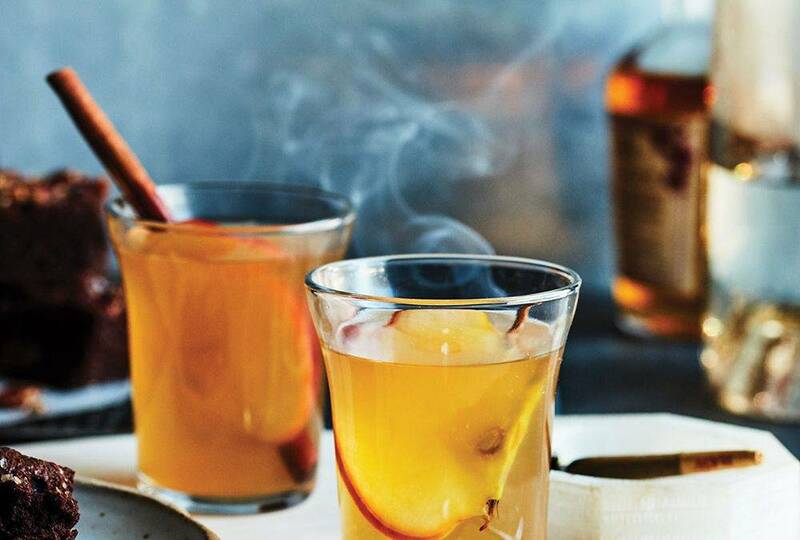 This winter he’ll deploy a cognac and a measure of apple brandy for the Farmer’s Friend. 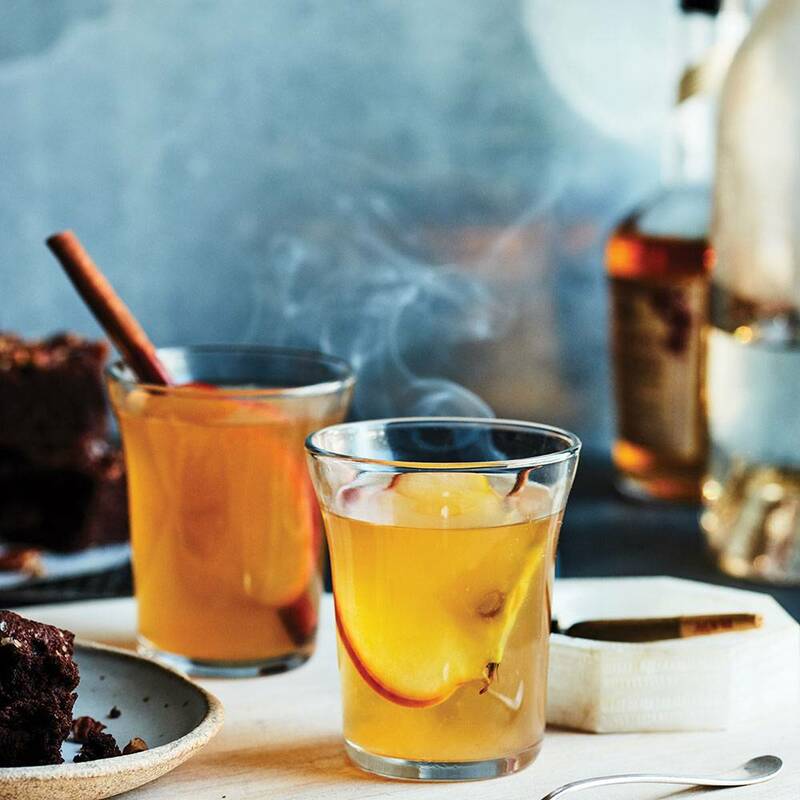 Instead of honey, he’ll sub a chai syrup, infused with black tea and a warming Indian spice blend (whose fall flavors work as well in an Old Fashioned or dark rum daiquiri). Lemon juice and hot water fuel the engines, while a slice of crisp apple dashed with cherry-vanilla bitters stroke the nose before the first sip. But since the toddy’s curative powers derive from the anti-inflammatory properties of honey, a few drops of neutral-flavored CBD extract can attend to the swollen sinuses and sore throat that the classic drink is meant to relieve. It’s so you can rest medicine, too, if that’s what your body needs.